In a significant development, a French media report quoted former French President Francois Hollande as purportedly saying that the Indian government had proposed Reliance Defence as the partner for Dassault Aviation in the Rs 58,000 crore Rafale jet fighter deal and France did not have a choice. 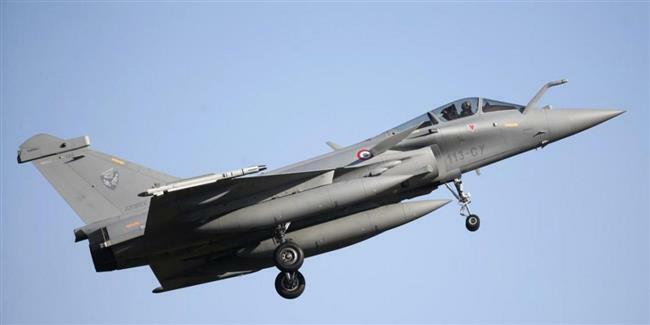 Dassault Aviation, the makers of Rafale, had chosen Reliance Defence as its partner to fulfil offset obligations of the deal. The government has been maintaining it did not have any role in selection of the offset partner. Hollande’s remark is set to escalate the political slugfest over the controversial multi-billion dollar deal. “President (Former) Francois Hollande should also enlighten us how the price went up from 590 crore in 2012 to 1690 crore in 2015 per Rafale fighter jet? Escalation of a mere 1100 crore. I am sure the Euro equivalent would not be a problem to calculate,” Congress spokesperson Manish Tewari tweeted. Prime Minister Narendra Modi had announced the procurement of a batch of 36 Rafale jets after holding talks with then French President Hollande on April 10, 2015, in Paris.